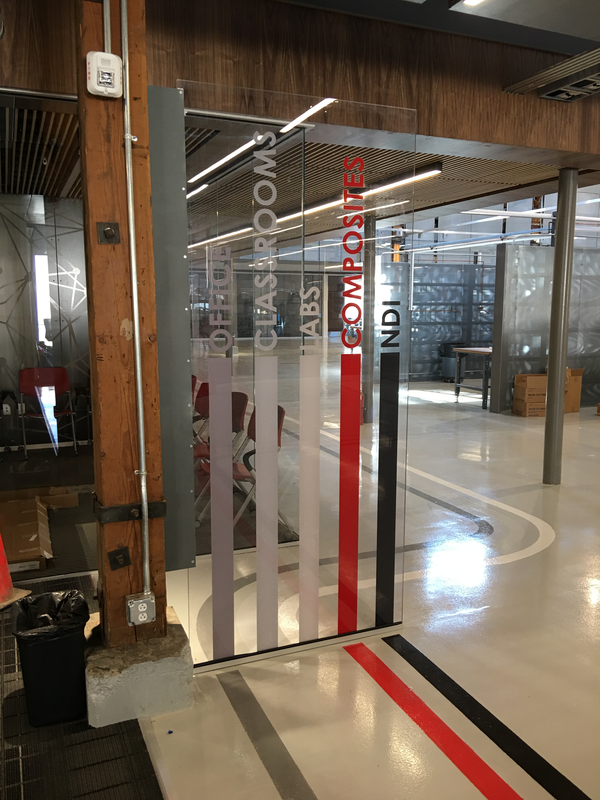 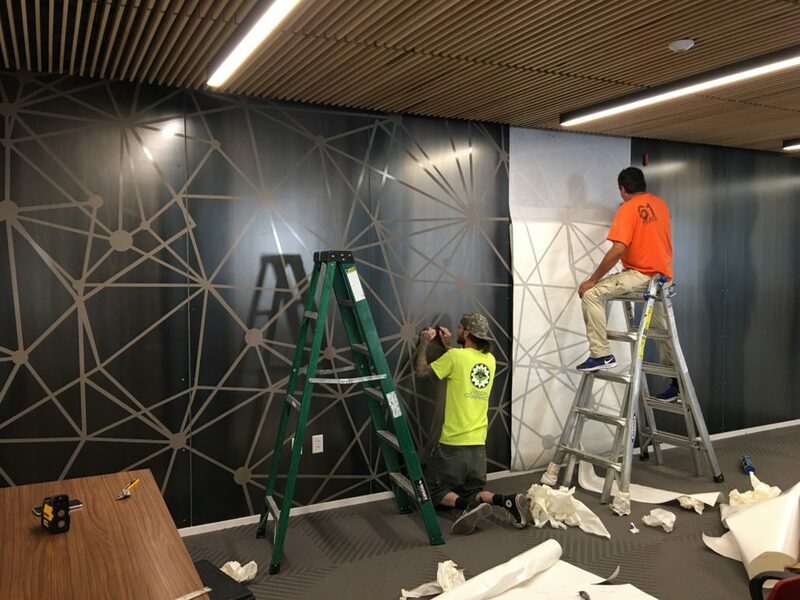 Our environmental graphics work for R & O Construction’s OWATC project consisted of two main elements: prints for two wayfinding signs, and prints for several metal-paneled walls. 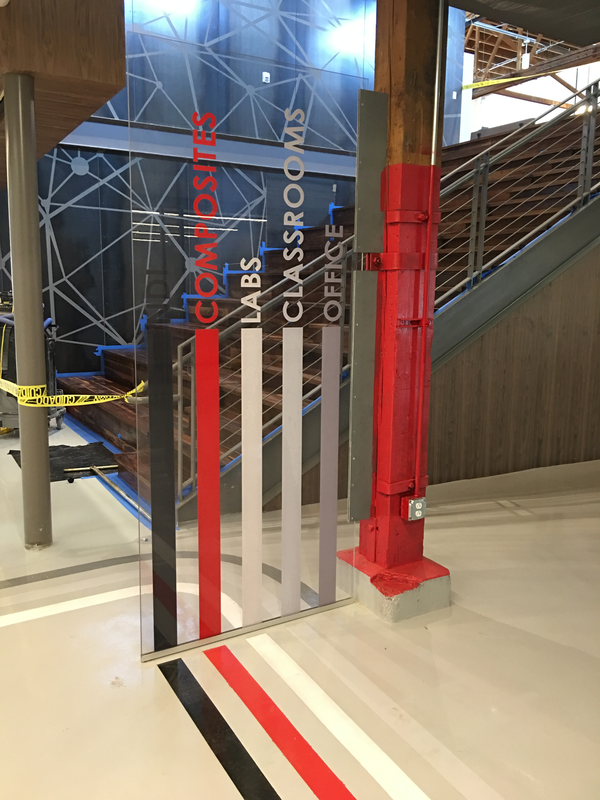 The original design for the wayfinding signs called for prints sandwiched between 41” X 96” X ½” thick panes of glass. 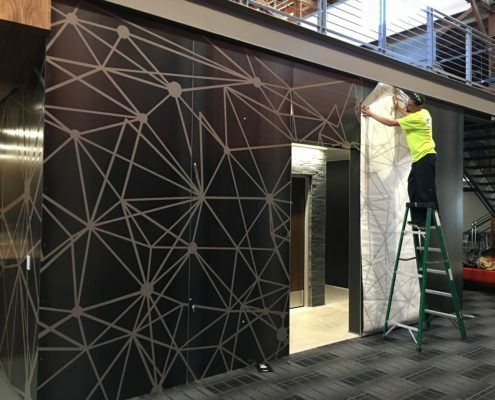 In response to R & O Construction’s concern about the weight and vulnerability of such glass panes and our concern about our being able to achieve gapless sandwiches of prints between such inflexible materials, AJC Architects accepted our proposal of prints applied second surface to thick panes of Lexan. 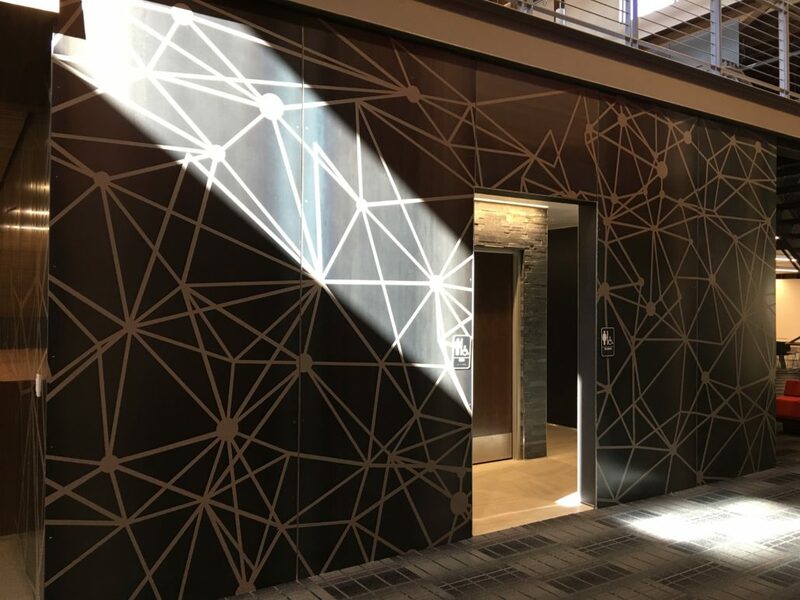 Our graphic designers created art based on the architect’s drawings, even matching Sherwin Williams paint colors, and we printed to large pieces of optically clear Lintec window film in a color/white/color process (for substantial density) on our Oce’ Arizona. 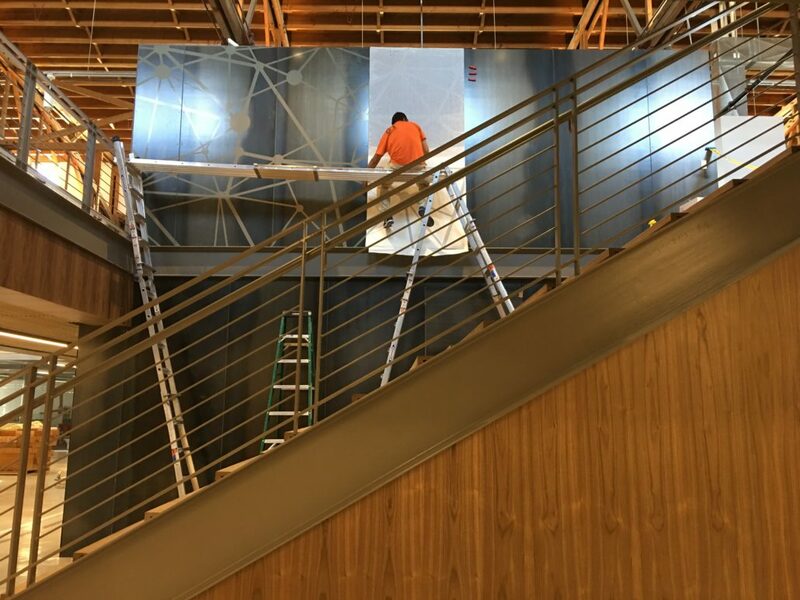 Our installers applied the prints full coverage and then trimmed excess material from the edges of the Lexan panes. The result is wayfinding signs that—at a glance, and as the architect envisioned—appear to contain embedded prints. 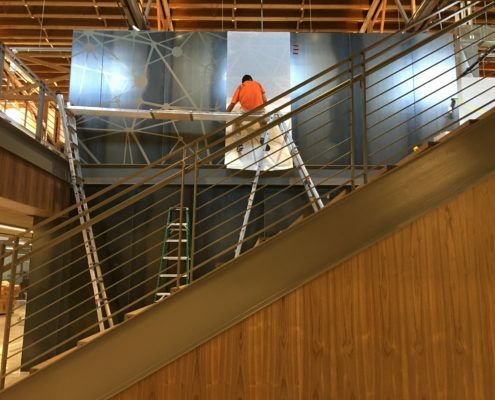 Only upon close examination might one realize that the prints are actually a second surface application. 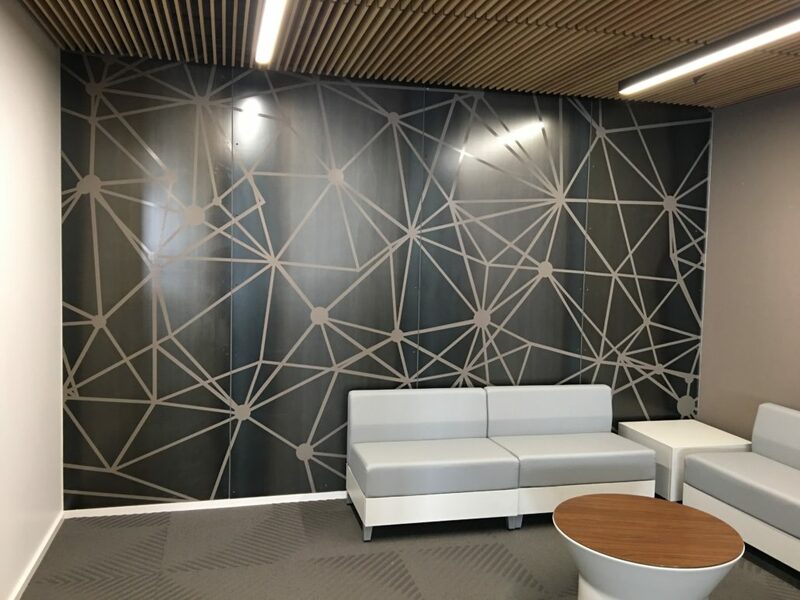 The graphics for the metal-paneled walls also evolved significantly from the architect’s original vision, but all by the architect’s choosing. 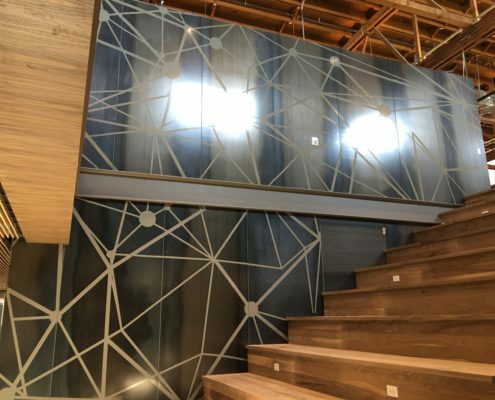 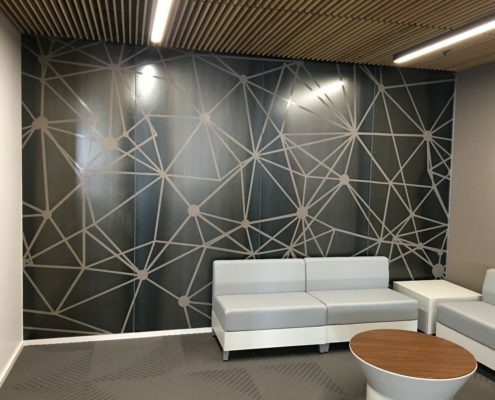 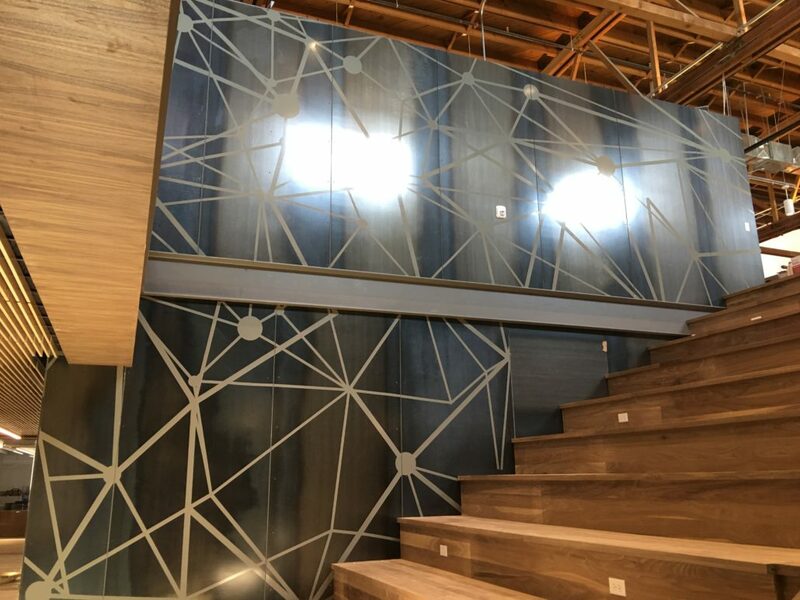 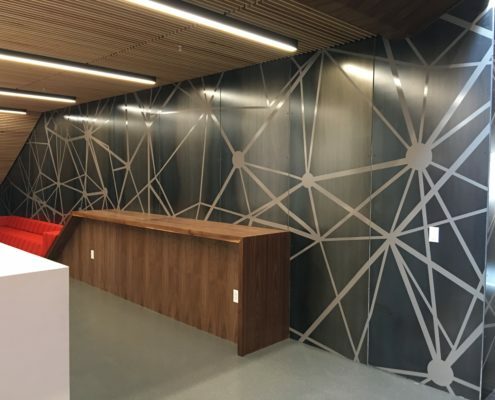 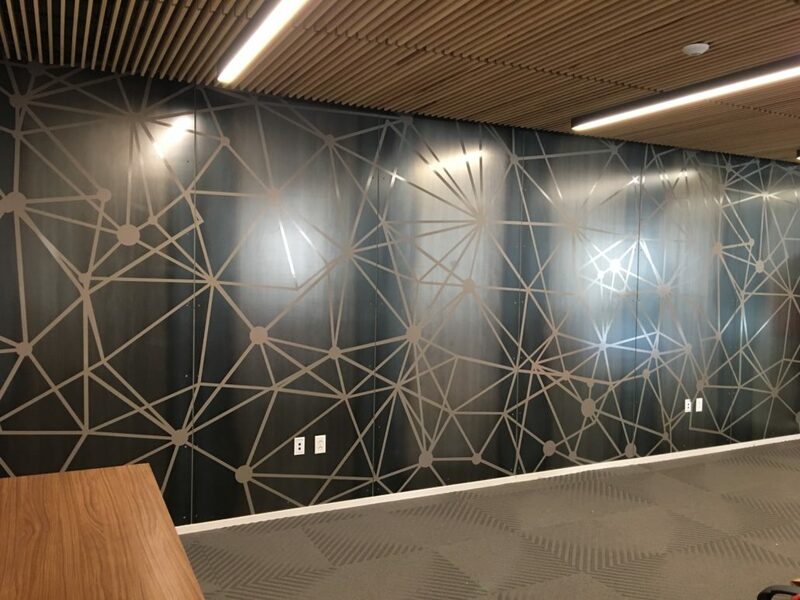 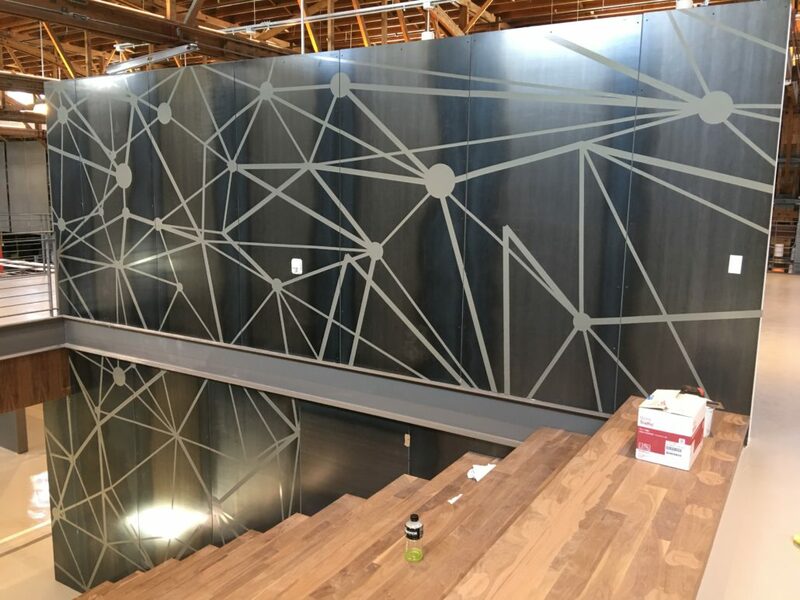 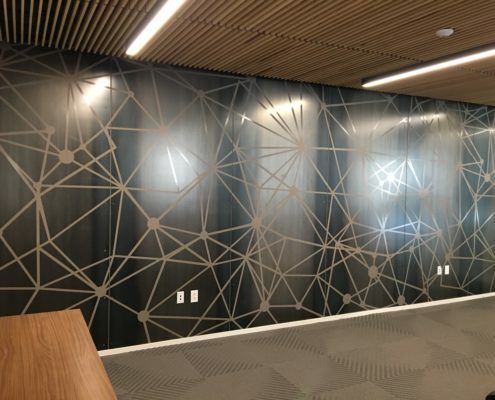 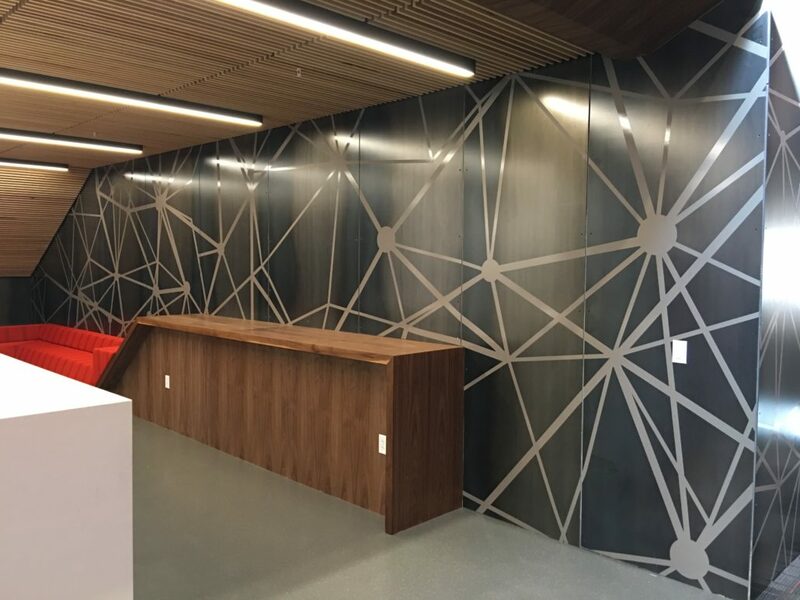 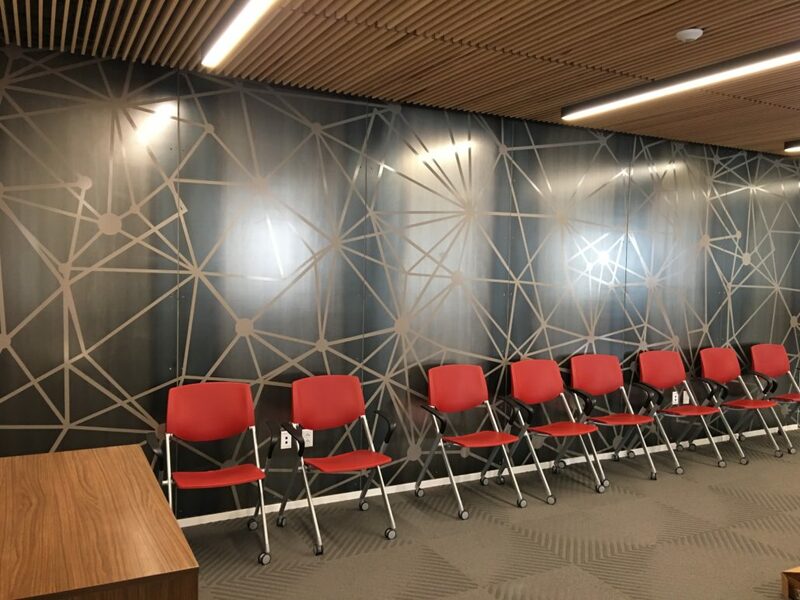 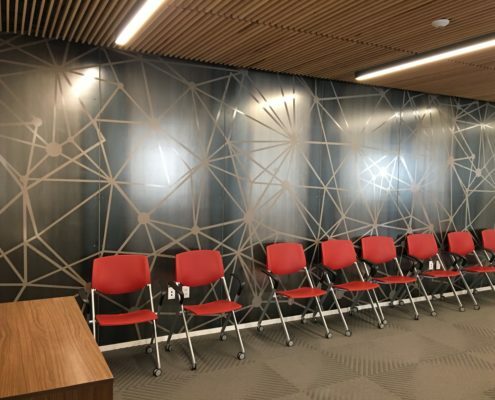 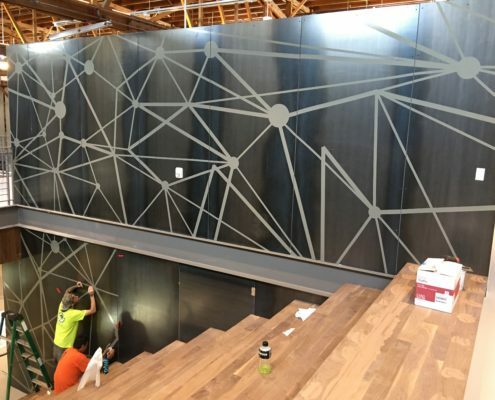 The original design called for the metal panels to be etched with mountain scenes; then it evolved to printed mountain scenes applied to the metal panels; and finally it evolved to printed, gray, abstract web-works applied to the metal panels. 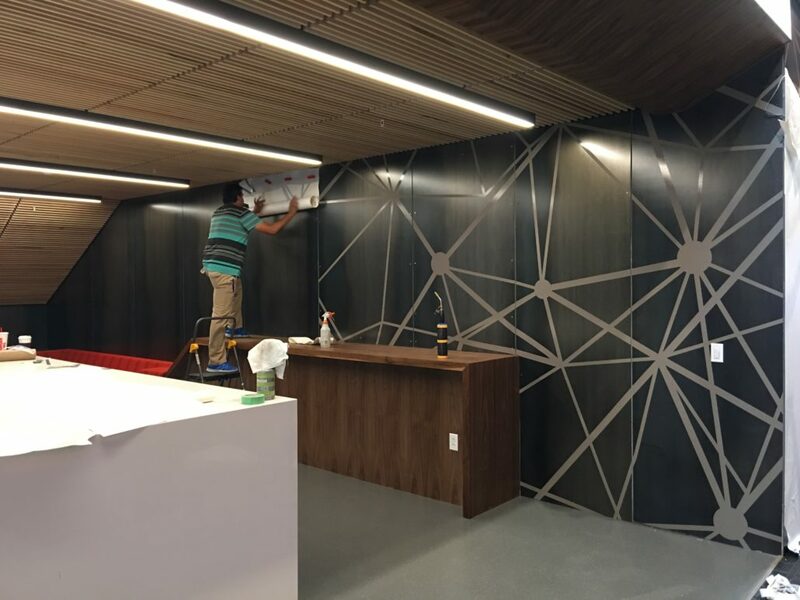 The architect’s art was basic, and it required (again) color-matching to a Sherwin Williams paint sample and resizing and other adjustments by our Pre-Press before it was ready for final print preparations. 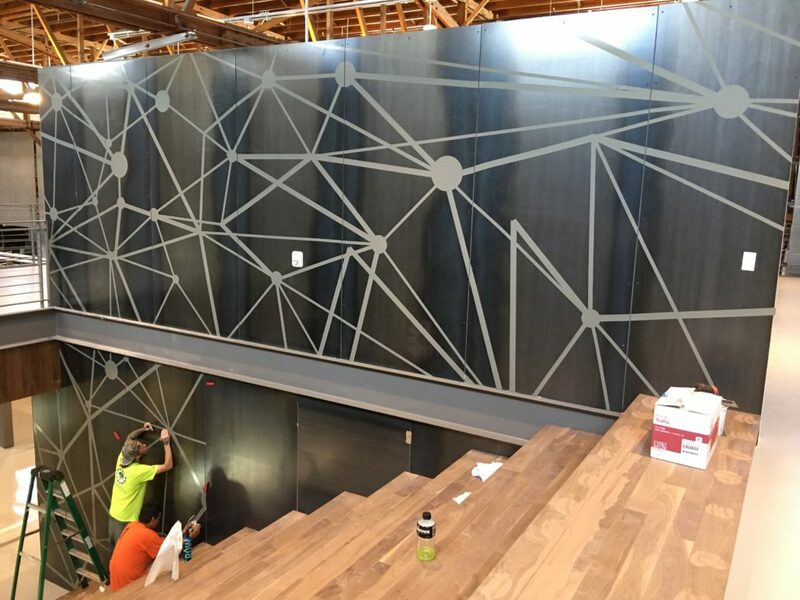 Using dimensioned shop drawings provided by the project’s metal fabricator, our Pre-Press ripped the web-works art for printing by metal panel. For durability and extreme adhesion, we produced the prints on MACtac HTO on our Durst RHO 500 R and then laminated, kiss-cut, weeded, and pre-masked the results in preparation for installation. 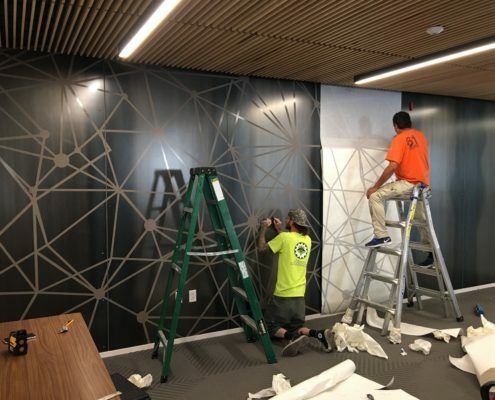 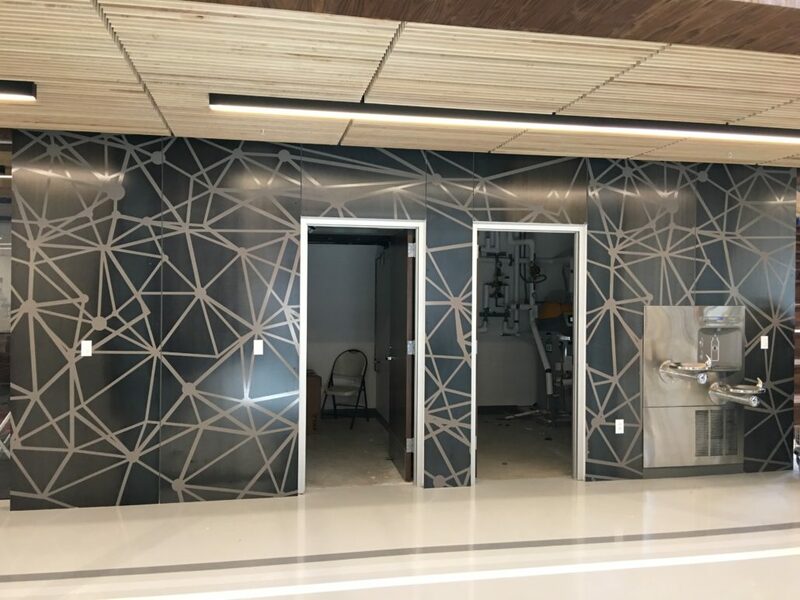 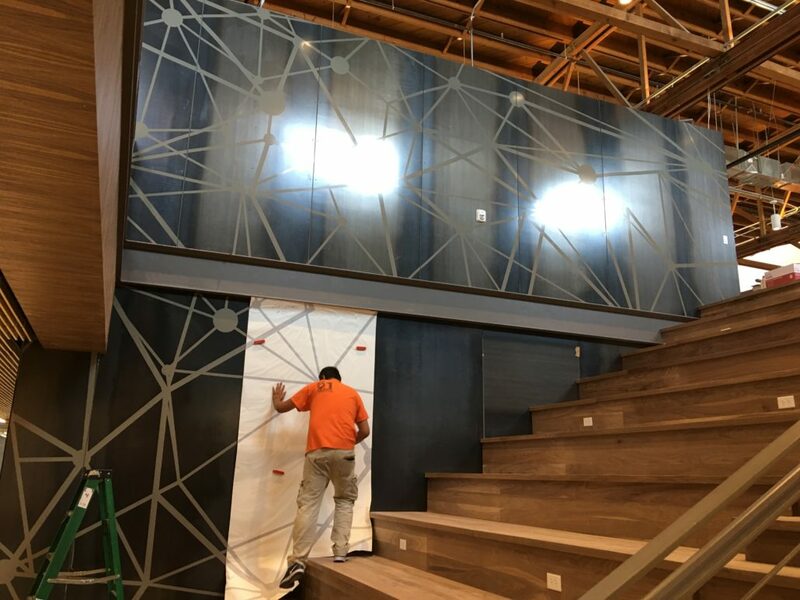 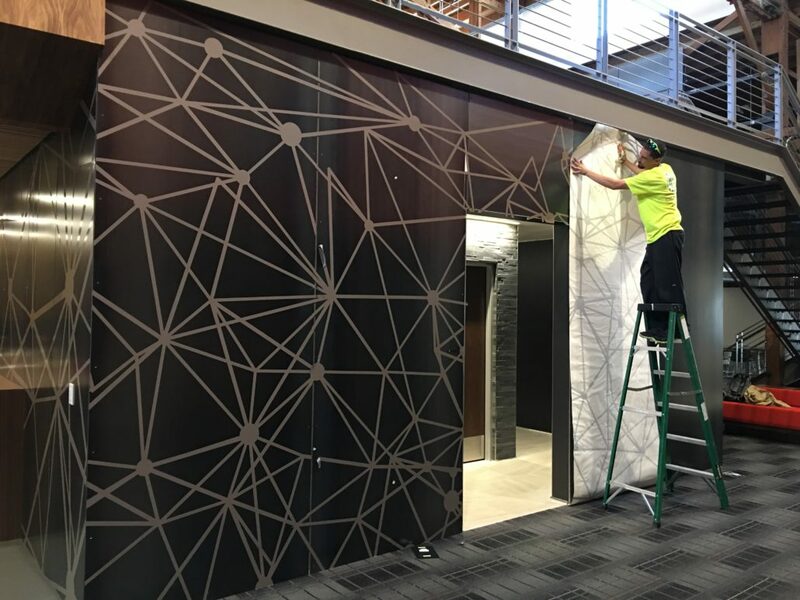 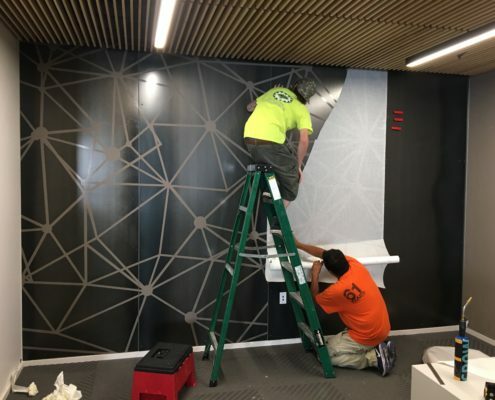 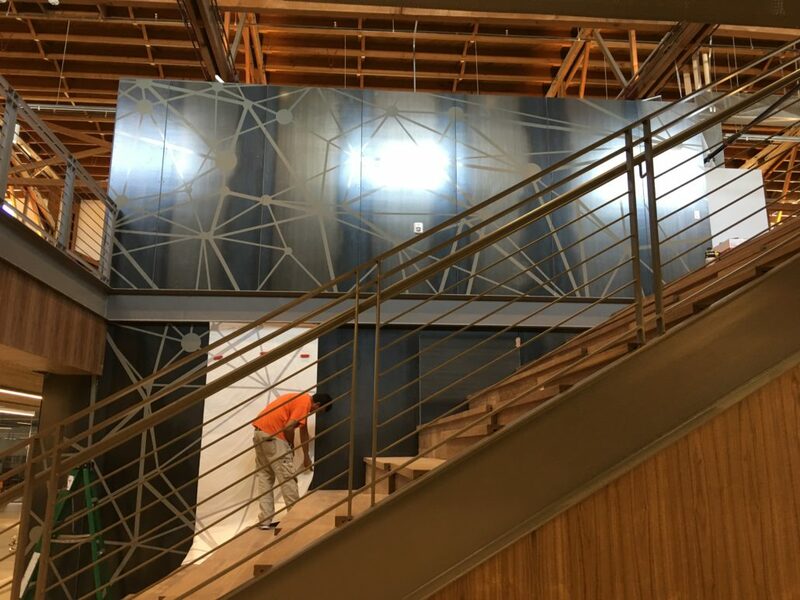 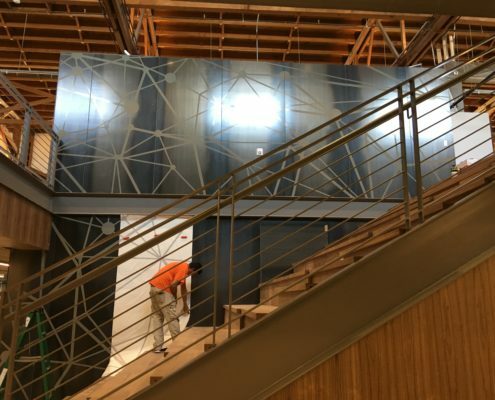 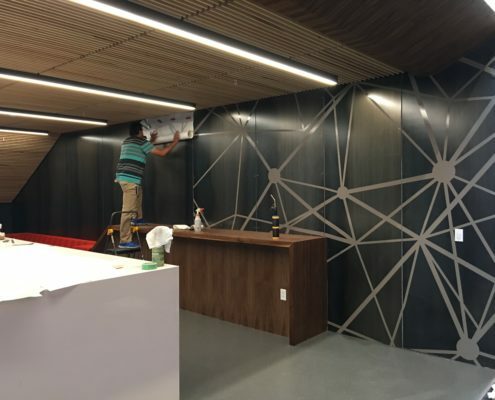 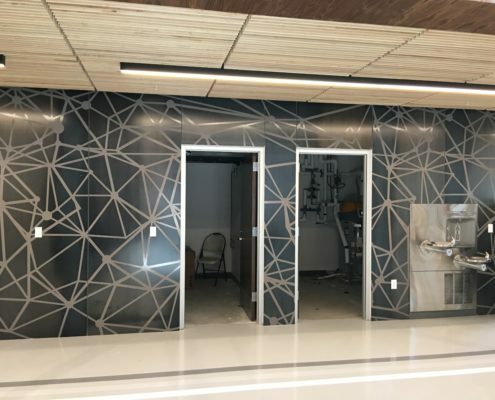 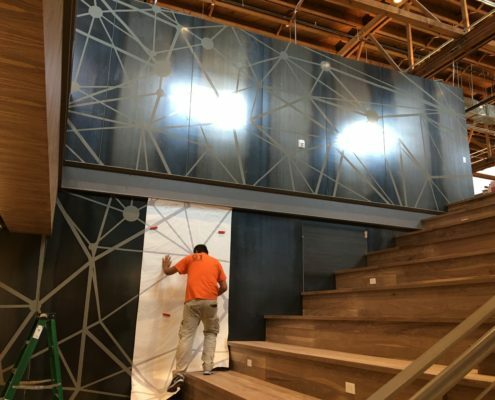 Over three days our professional installers applied all pieces, making adjustments as necessary to render a smooth-flowing design from metal panel to metal panel in each area.